*Price excludes tax and shop supplies where applicable. Some models may be slightly higher. No further discounts apply. One coupon per customer. No cash value. Please present coupon when service order is written. When it comes time to get your vehicle serviced, it deserves to be serviced by a professionally trained technician. And at Four Stars Ford that's exactly what you'll find. 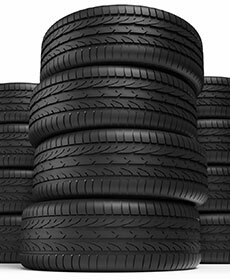 At our Service Center you'll find the service you need, like oil changes, tire rotation, and more. Whether you're in Jacksboro, Graham TX, or Bridgeport TX, do your vehicle a favor and bring it to Four Star Ford. At Four Star Ford, we understand the importance of keeping your vehicle's service and repair affordable. And with our range of service specials, you'll find that you can get significant savings on the service you need. Whether it be an alignment or just an inspection, we go out of our way to provide quality service for less. 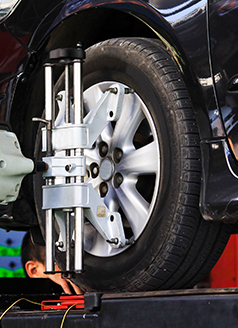 Be sure to check up on our specials consistently as they are regularly rotated and changed. We take great pride in offering our Bowie TX and Henrietta TX savings on the service they need. Whether it be on a new model Ford or an oil change, we have you covered. And don't forget about our our Parts Center. At our Parts Center you'll find genuine OEM parts in order to repair you're beloved vehicle. That means you can fix your car, truck, or SUV with the same part they installed at the factory. At Four Stars Ford we provide quality service at every level. And we aim to make our customer's dollar go further.